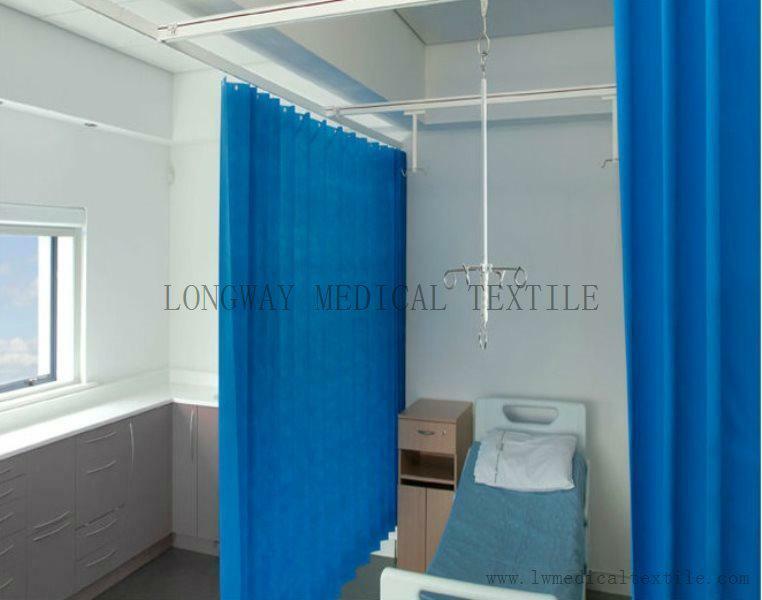 Disposable/ Non-woven Hospital Cubicle curtain is now widely used in hospital as it is cost efficient compared to conventional curtains and can avoid the inconvenience and extra cost of laundry. It is much lighter than conventional curtains and is 100% recyclable as non-clinical waste. It can be disposabled of quite easily and totally friendly to the environment. The non-woven material is flame-retardant / fire retardant according to BS5867 Part 2 Type C (British standard) or NFPA 701 (American standard) etc. 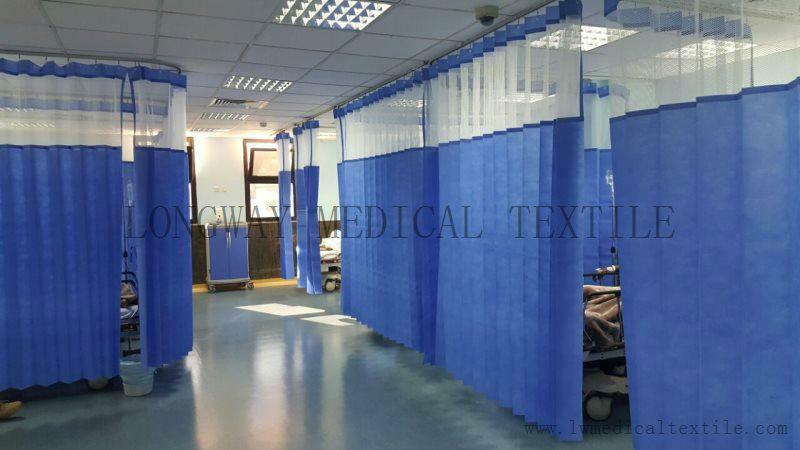 It also has anti-microbial feature to avoid infection among patient through contact with the curtains. The top mesh also enable free air-flow in wards. Besides the pure colors, LONGWAY also supplies disposable curtain of various painted designs.